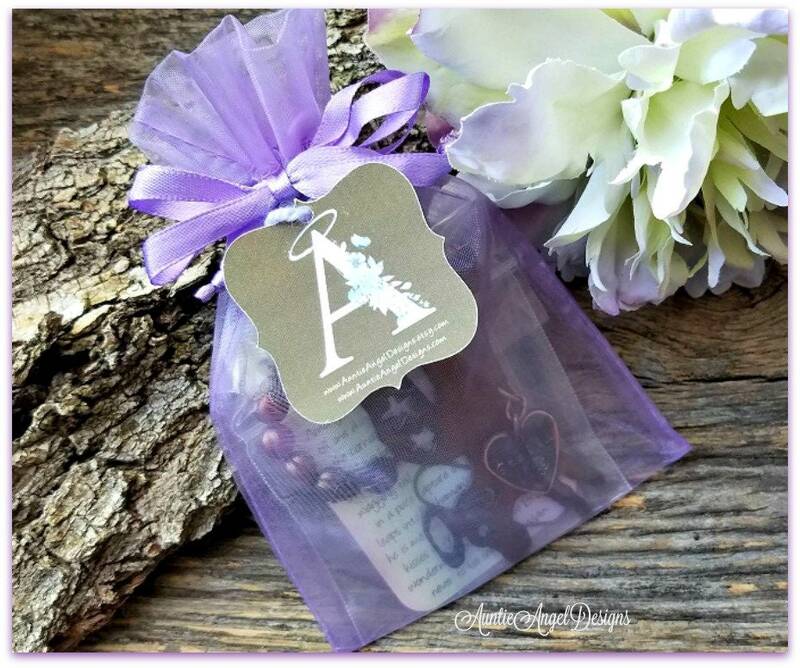 The "Rainbow Bridge Paw Print Ornament" is a unique and exclusive beaded pet sympathy gift by Auntie Angel Designs for a great year-round pet remembrance gift for the grieving heart. 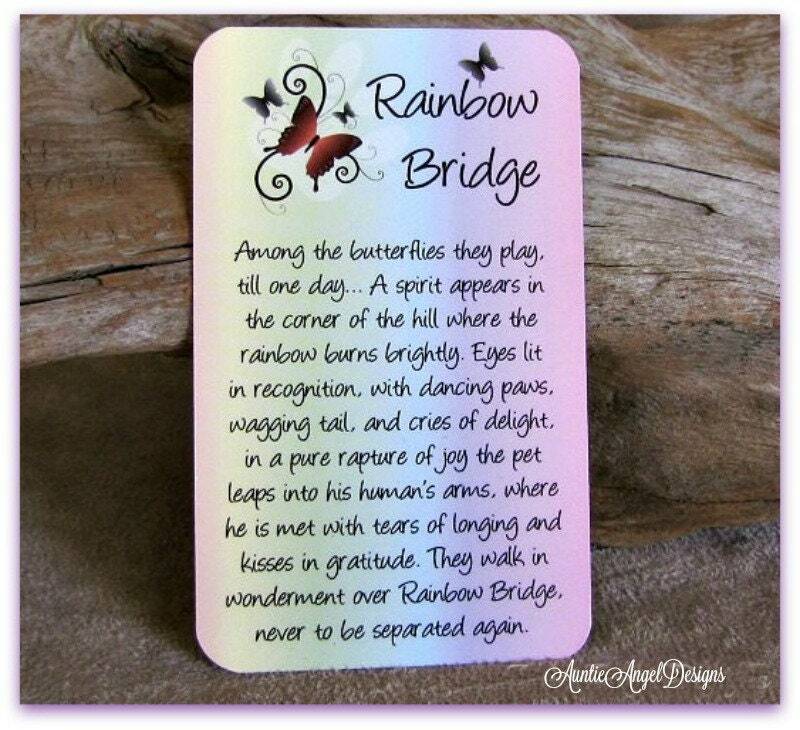 This gorgeous, yet simple Rainbow Bridge-inspired piece is meant to remind you always of the precious pet at the Rainbow Bridge, knowing one day you will be reunited. 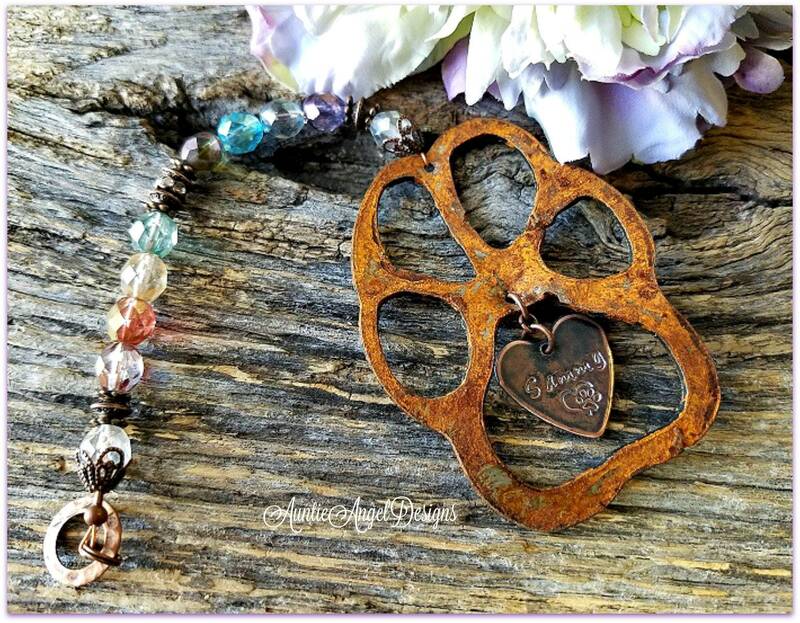 Each open paw print cutout is made of 16-gauge rusted steel and is 2.25" wide by 3" tall with the thickness of about a quarter. 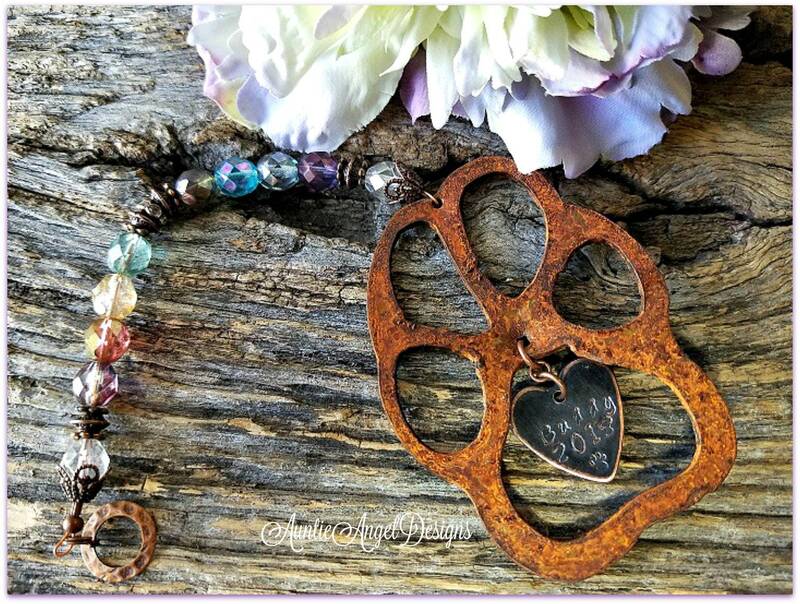 The paw print dangles from a strand of soft crystal-faceted beads in the colors of the rainbow that are in a luster finish. They are quite beautiful when capturing the light, like next to a window. 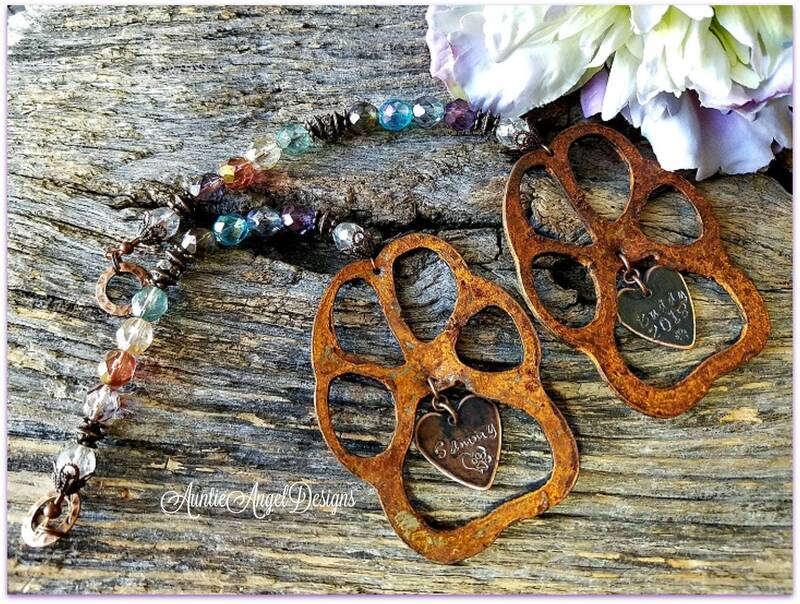 I also use decorative antiqued copper spacer beads and an antique copper rhinestone spacer bead. Each piece is strung on flexible wire and finished with fine filigree antiqued copper bead caps. Perfect. 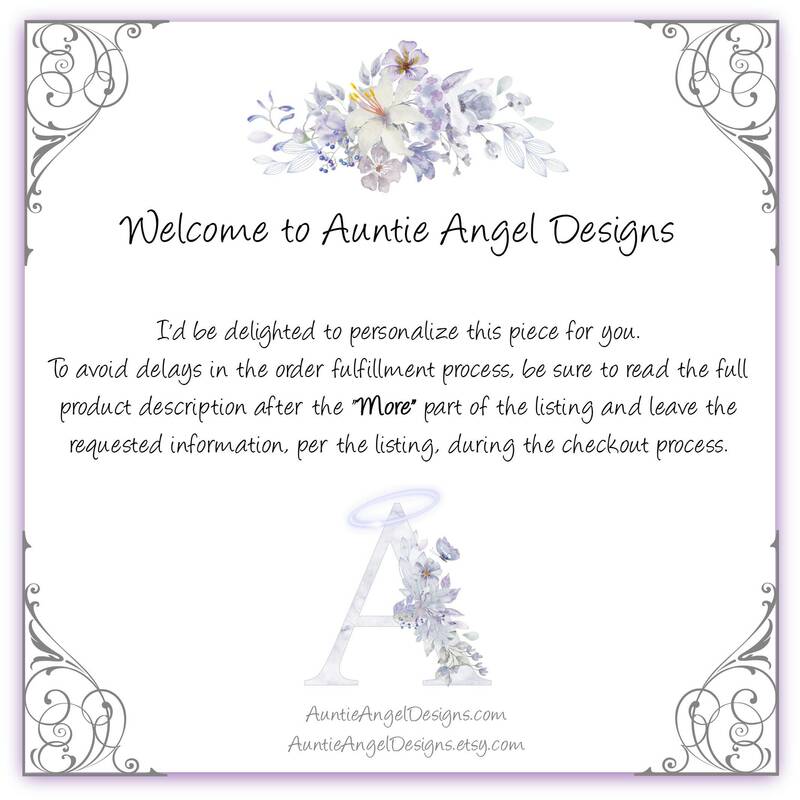 Was a gift and they loved it.